1349 is a Norwegian black metal band from Oslo, Norway formed in 1997. The band's musical style and songwriting is modeled after that of bands from the Second Wave of Norwegian black metal of the early 1990s, and notably does not incorporate synthesizers. 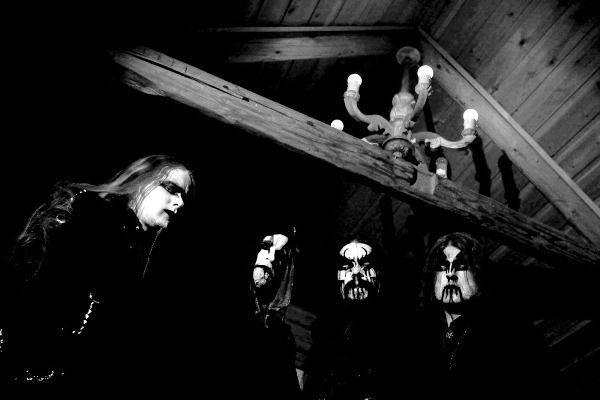 With the exception of 'Revelations of the Black Flame' having a slower and more ambient sound, 1349 have been described as much heavier than most other black metal bands. The band have rejected the more commercial style of black metal exhibited by some bands. 1349 released their latest Fifth Full-Length Album Demonoir on 26th April 2010. The name 1349 comes from the year the Black Death reached Norway.